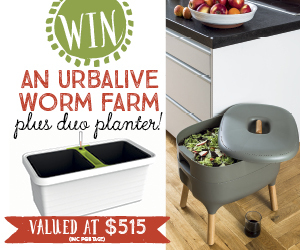 Win an Urbalive worm farm plus Duo planter! The stylish Urbalive worm farm is easy to use and looks great with its sophisticated European features. The worm farm, which is manufactured in Europe, has a tight-fitting lid, stacker trays where the worms transform food scraps into nutrient-filled castings, and a tank base where the worm juice collects. Suitable for small households or apartments, the Urbalive can be used indoors or outside under cover. The war on waste never looked so good! 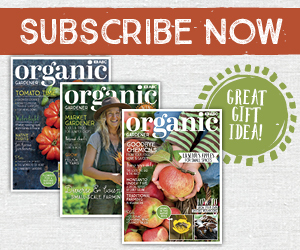 The prize pack also includes a Berberis Duo self-watering planter. With two internal pots that are large enough for vegetables or flowering plants, the Duo has a water gauge and a built in holder for a stake. 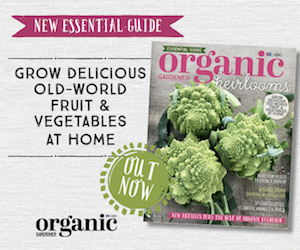 You’ll be the height of sustainable style!